Driven by burgeoning ecotourism and military campaigns in Iraq and Afghanistan, a parasitic infection called leishmaniasis is showing up in more U.S. patients, often stumping doctors. Rapid diagnostic tests and innovative treatments are among the strategies to address leishmaniasis highlighted in new guidelines released by the Infectious Diseases Society of America (IDSA) and the American Society of Tropical Medicine and Hygiene (ASTMH) and published in the journal Clinical Infectious Diseases. 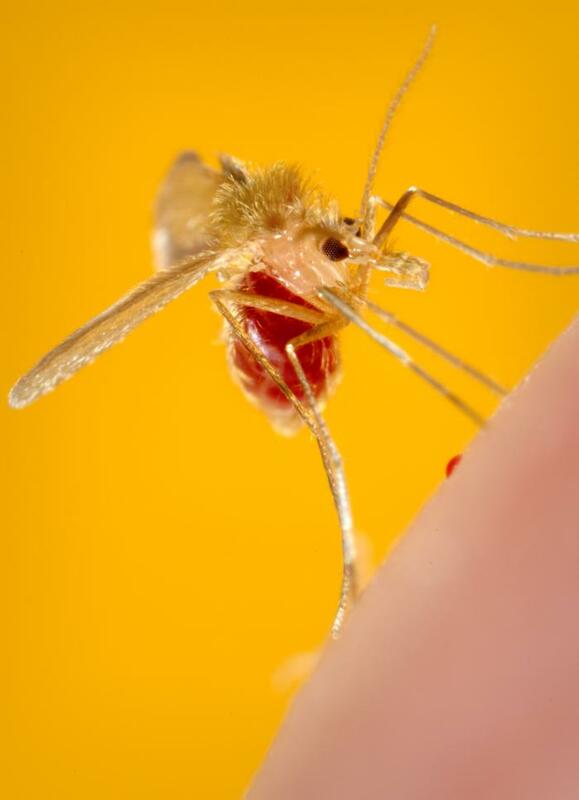 The bite of the nearly invisible sand fly – one-third the size of a mosquito – transmits the Leishmania parasite. The parasite is found in more than 90 countries around the world – including Mexico and those in Central and South America, Asia, Africa, the Middle East and southern Europe. The infection rarely occurs in the United States, although a few cases have been reported to have been acquired in Texas and Oklahoma. The growth of travelers, soldiers and immigrants with leishmaniasis being seen by U.S. doctors and the complicated diagnosis and management of the disease drove the creation of these guidelines, the first in the United States. Cutaneous leishmaniasis (CL) – CL causes skin sores, such as bumps or lumps that may turn into ulcers with a central crater or scab over. This is the most common type of leishmaniasis, with an estimated 700,000 to 1.2 million cases worldwide every year, according to the Centers for Disease Control and Prevention (CDC). Mucosal leishmaniasis (ML) – CL can metastasize, or spread, to mucous membranes, especially the mouth and nose, resulting in ML. ML most often occurs when the patient is infected by Leishmania parasites from Central or South America. Untreated, ML can cause serious scarring and deformity. Visceral leishmaniasis (VL) – The most serious form, active VL is a systemic infection that is almost always fatal if not treated. Symptoms include weeks to months of high fevers, significant weight loss, an enlarged spleen and low blood counts. CDC estimates there are 200,000 to 400,000 new cases of VL a year. When doctors see infections with these symptoms, they should ask if the patient has traveled outside of North America, Dr. Aronson notes. CL can be tested by polymerase chain reaction (PCR) or by doing a culture to identify the type of Leishmania and determine how aggressively it should be treated. A blood test called rK39 provides a rapid result if VL is suspected, which would be confirmed with PCR or culture. Oral miltefosine was approved by the Food and Drug Administration (FDA) in 2014 for specific cases of cutaneous, mucosal and visceral leishmaniasis. “It may become a game-changer for treating leishmaniasis as it is a pill that can be used for all three leishmaniasis syndromes, depending on the parasite species responsible for the infection,” said Dr. Aronson. Additionally, the ThermoMed™ device can be used to heat treat CL. FDA-approved liposomal amphotericin B is given intravenously (IV) for VL. While more than 80 percent effective, these therapies don’t always eradicate the parasite, and sometimes additional treatment is necessary. Despite the name, the fly that transmits the parasite also lives in rotting vegetation in jungle areas. The sand fly most often bites exposed skin at night, transmitting the parasite. While there are no vaccines or preventive medications for leishmaniasis, people traveling to areas where the parasite exists should use protective measures to avoid infection. That includes wearing protective clothing (long sleeves and pants), applying insect repellents containing DEET and using insecticide-impregnated bed nets.